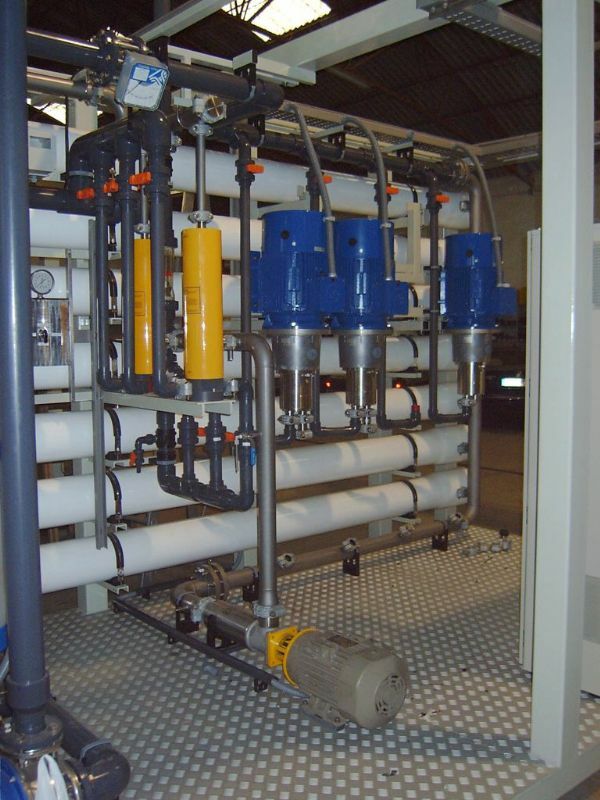 Reverse osmosis systems are used to obtain drinking water or process water from brakish water or sea water. The main differences between the two systems are the working pressure, membrane types and amount of membranes depending on the raw water. 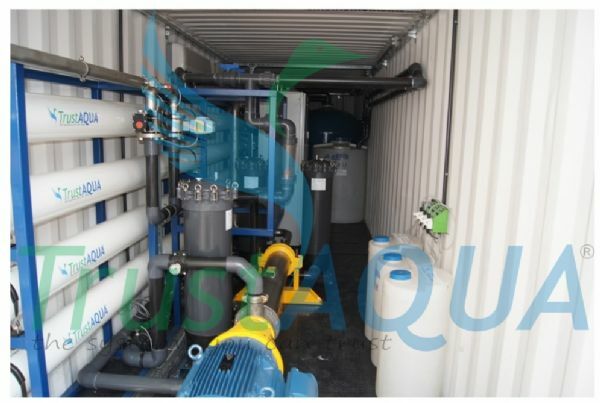 Sea Water Reverse Osmosis Systems (Desalination Systems) are indispensable where the fresh water resources are inadequate and the use of sea water becomes necessary such as ships, sites, hotels, resorts, municipalities, industrial plants etc. Sea water, collected through the open-intake or wells on the shore comes to the raw water reservoir. Before the raw water enters to the membranes, a pretreatment should be performed in order to protect and prolong the life of the system. In addition to filtration, to prevent the deposition of minerals and ions on the membrane, acid dosing should be made, antiscalant should be dosed. In this way, the membranes can be kept at optimum performance. If necessary, dosing of pH balance and corrosion inhibitor chemicals can be given to the outlet of the system. Oceans constitutes %97 of water resources in the world. 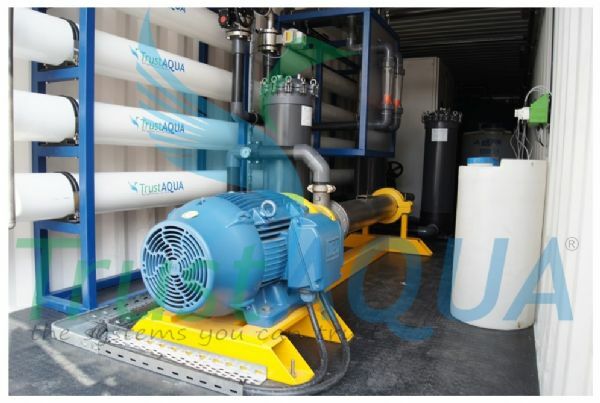 Parallel with rapidly increaing demand to the sea water treatment systems, the technology is evolving and developments made systems more economical. When the desalination plants built last 30 years examined, it can be seen that the cost of 1 m³ of water produced is decreasing. At this point, the energy recovery units working with the waste of the membranes and reduced energy consumption of high pressure pumps are having a great importance.